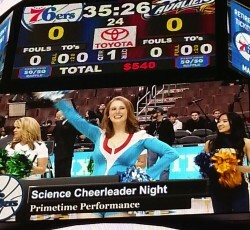 Science Cheerleader Hilary here, excited to meet you at an upcoming event in Boston, MA! Join us for American Association for the Advancement of Science (AAAS) Fami ly Science Days at the Hynes Convention Center on February 19, where you can learn about science, and even do some citizen science with our partners from SciStarter, Discover Magazine and Astronomy Magazine at Booth #40. Watch physics in action when the MIT cheerleaders show off their stunts and bring to life our free ebook, The Science of Cheerleading! Be sure to catch our stage show at 11:30am, sharp! Meet other Science Cheerleaders, too, including me (Hilary) and a special guest from our hometown heroes, the New England Patriots Cheerleaders! I graduated from Yale University with a B.S. in Molecular Biophysics and Biochemistry. I am currently working at the Broad Institute of MIT and Harvard as a research associate in the laboratory of Feng Zhang. I am helping to develop a genome-editing platform by harnessing the crazy genome rearrangement pathway found in ciliated protozoa. Genome editing, or the ability to change the DNA code of human cells, allows us to further understand complicated genetic diseases such as cancer and someday could be used in therapeutics. I am currently applying to PhD programs in Biochemistry and Biophysics and I hope to continue contributing to scientific discovery throughout my career. My interest in science developed as a kid through science fair projects such as designing a seashell filter to remove lead contamination from water or harnessing wind energy with a kite power system. As a New England Patriots Cheerleader, I enjoy being engaged in the community and connecting with many different people. It has also allowed me to share my passion for science with kids and to encourage them to follow their own dreams, whatever they may be! I graduated from Colgate University with a bachelor’s degree in Biochemistry. From there, I went on to do my PhD at Brown University in Molecular Pharmacology and Physiology, which I defended in 2016. I am currently a postdoctoral fellow at Dana-Farber Cancer Institute/Harvard Medical School in William Kaelin’s lab. I am researching ways to selectively kill cancer cells based on the differences between cancer cells and normal cells. Currently, I am focusing on kidney cancer. 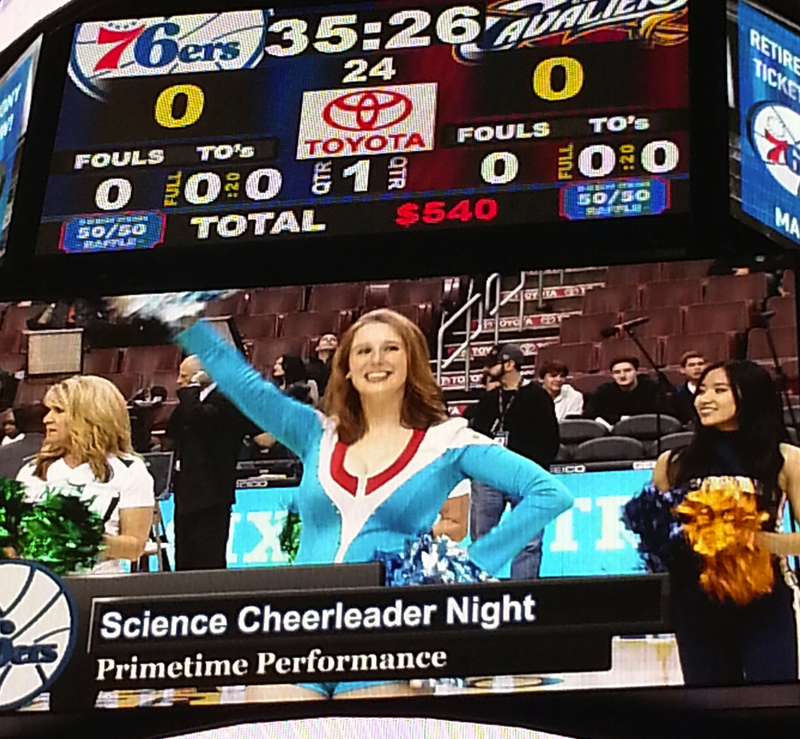 I love my work, and I love getting people excited about it and about science in general (just like I loved getting the crowd excited as a cheerleader at Colgate!). I have been a regional coordinator with Science Cheerleader for almost five years, and one of my favorite things is watching young scientists get excited when they connect science to something they’re passionate about! See you the AAAS Family Science Days in Boston! In the interim, check out all the remarkable Science Cheerleaders on the New England Patriots Cheerleaders team this year!